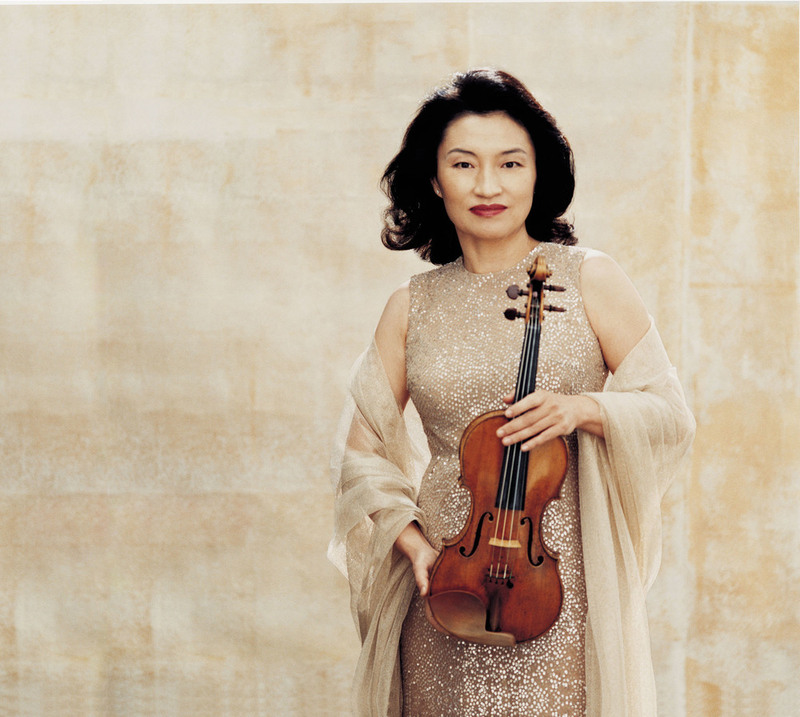 “Simply, relentlessly, magnificent: a miracle of momentum and humanity” (The Sunday Times), Kyung Wha Chung is recognised throughout the world as one of the finest violinists of her generation. A prolific recording artist, her dazzling and probing artistry has made her a much-acclaimed performer throughout her fifty-year career. 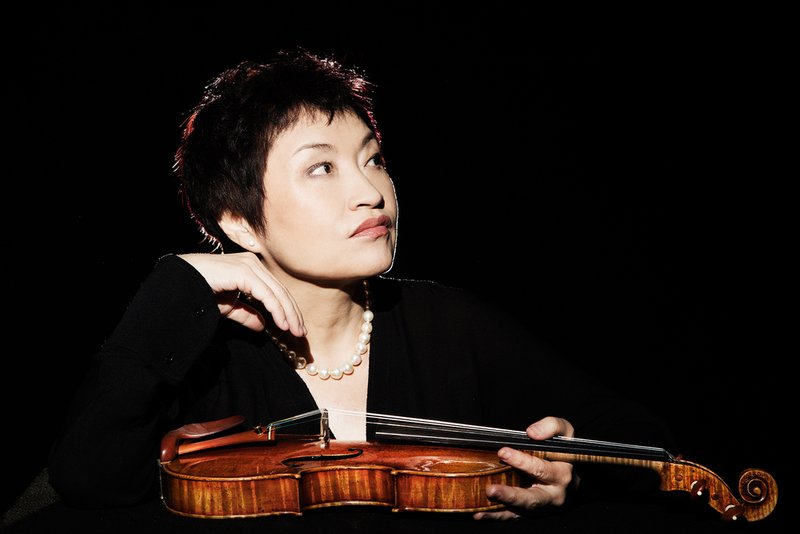 Lauded for her passion, her musicality, and the intense excitement that she brings to her performances, Chung’s uniquely expressive interpretations of the violin literature have established her as an artist of the very highest stature. 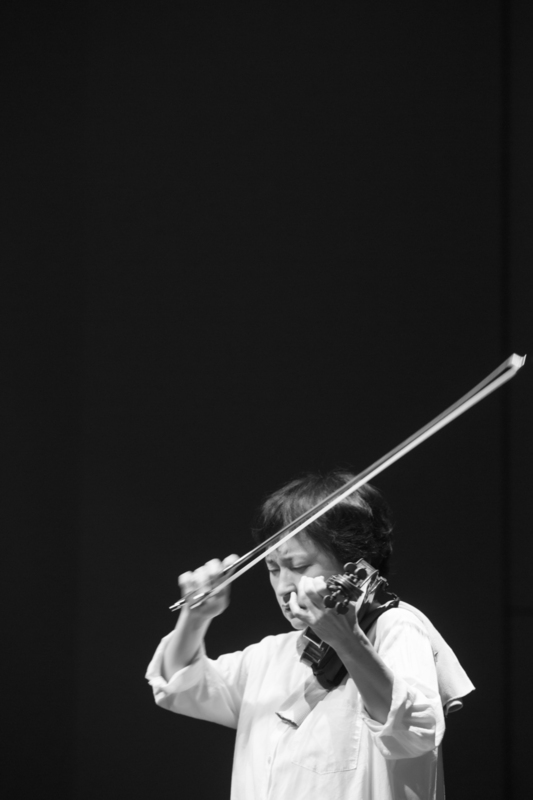 Born in South Korea, Chung first heard the violin at the age of six. 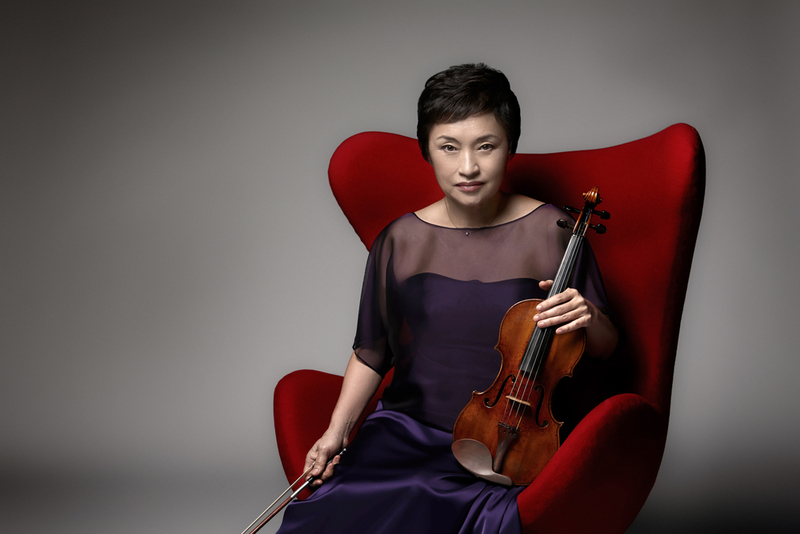 Instantly mesmerised by its tone, she was swiftly recognised as a child prodigy, making her concert debut aged nine with the Seoul Philharmonic Orchestra, performing the Mendelssohn Violin Concerto. At thirteen, Chung enrolled at The Juilliard School, New York, and began studying with renowned pedagogue Ivan Galamian, and later with Joseph Szigeti. Upon winning the prestigious Edgar Leventritt Competition in 1967, Chung was immediately engaged by major American orchestras – including the Chicago Symphony Orchestra and the New York Philharmonic – and also performed at the exclusive White House Gala. She made her sensational European debut in 1970, performing the Tchaikovsky Violin Concerto with Sir André Previn and the London Symphony Orchestra, at London’s Royal Festival Hall. This concert was met with great critical acclaim and public attention, and Chung immediately received offers of concerts throughout the United Kingdom. 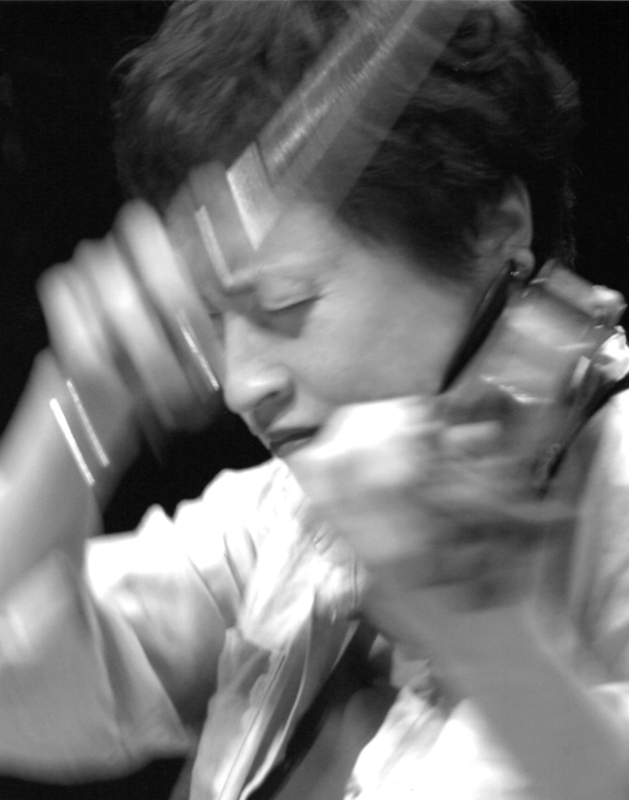 Subsequently obtaining an exclusive recording contract with Decca/London, Chung’s debut album – of the Tchaikovsky and Sibelius concertos with Sir André Previn and the London Symphony Orchestra – brought her to international attention, and she continued to perform with the world’s greatest orchestras (including the Berlin Philharmonic, Vienna Philharmonic, London Philharmonic and Boston Symphony Orchestra, amongst others). Throughout her career, Kyung Wha Chung has enjoyed working alongside the world’s finest conductors, including Claudio Abbado, Daniel Barenboim, Charles Dutoit, Bernard Haitink, Riccardo Muti, Sir André Previn, Sir Simon Rattle, Sir Georg Solti and Klaus Tennstedt. Her chamber music partnerships have included such high calibre pianists as Peter Frankl, Kevin Kenner, Stephen Kovacevich, Radu Lupu, and Krystian Zimerman. Kyung Wha Chung has recorded numerous award-winning albums, and her extensive discography reflects the impressive breadth of her repertoire. Following her recording contract with Decca/London, in 1988 Chung subsequently signed for a period with EMI Classics, and also released recordings with RCA and Deutsche Grammophon. 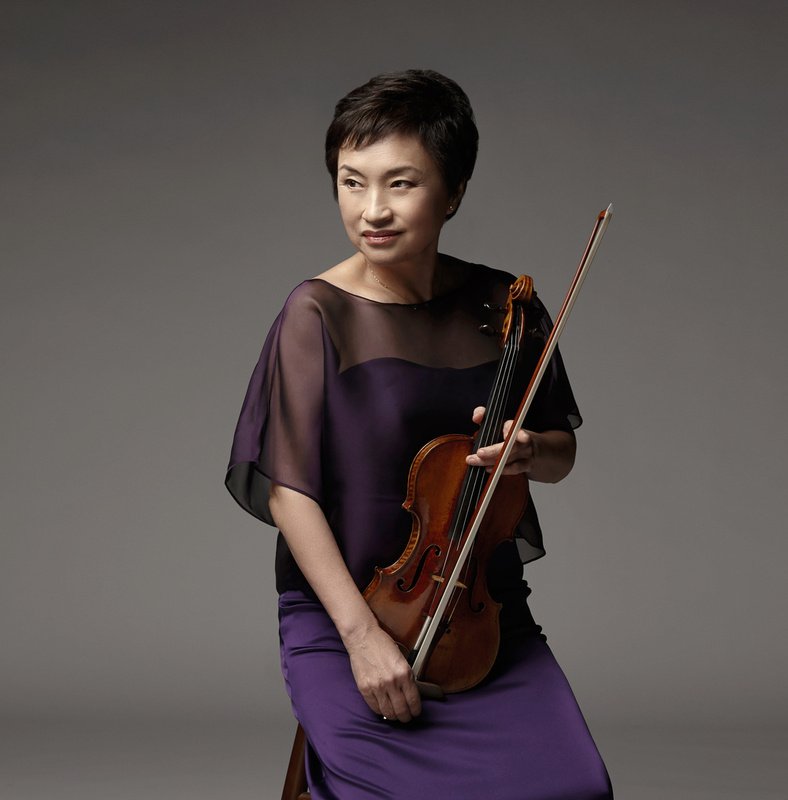 Winner of two Gramophone Awards (the first, for her Deutsche Grammophon album of Strauss and Respighi sonatas with Krystian Zimerman; the second, for her EMI recording of Bartók’s Second Violin Concerto with Sir Simon Rattle), Chung has also received many prizes and top honours – including the Medal of Civil Merit from the South Korean government, and the Ho Am Prize for the Arts in 2011. Following an injury to her hand, Chung took a break from performing in 2005. During this time away from the stage, she found a new calling as a teacher, joining the faculty of her alma mater, The Juilliard School. In addition to this, Kyung Wha Chung is Chair Professor for Music at Ewha University in Seoul, and Charity Ambassador for Better World (an active patron for their Child Rescue Project in Africa). She was also the Artistic Director of the PyeongChang Music Festival (formerly Great Mountains Music Festival & School), South Korea, until 2018. 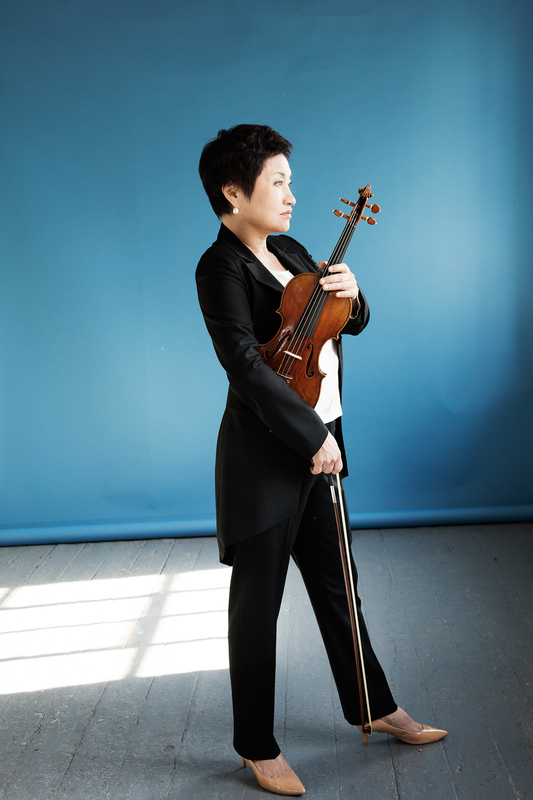 Five years after her retirement, 2010 marked Chung’s triumphant return to the Asian stage. Greeted by enthusiastic audiences and the highest critical acclaim, in 2013 she embarked on an extensive Asian tour of fifteen major cities. She made her much anticipated return to the European concert platform in 2014/2015, with a UK tour culminating in a sensational sold-out recital at London’s Royal Festival Hall. Kyung Wha Chung has since signed an exclusive international record contract with Warner Classics, the first release of which (Solo Bach Sonatas & Partitas) was released during the 2016/2017 concert season, with complete performances at NCPA Beijing, Suntory Hall, The Barbican Centre, and Carnegie Hall.Other recent and forthcoming highlights include opening the Verbier Festival, subscription concerts with Sir Antonio Pappano and the Accademia Nazionale di Santa Cecilia (partnered by a tour to the Abu Dhabi Festival), work with both Tokyo Philharmonic and Staatskapelle Dresden with Myung-Whun Chung, and extensive Asian recital touring with sensational young Chopin prize-winner Seong-Jin Cho, to whom Chung has been a mentor for many years. Following her triumphant return to the European concert stage in 2014, Kyung Wha Chung now returns to the UK for two performances before making her highly anticipated return to the US stage with a solo recital at Carnegie Hall’s Stern Auditorium. For her long-awaited return to the studio after 15 years, Kyung Wha Chung has made her first ever recording of Bach’s complete works for solo violin. After a 15 year hiatus, it is our great pleasure to announce that Kyung Wha Chung has signed to Warner Classics. Warner Classics have just released Kyung Wha Chung’s collected EMI Warner recordings, available for purchase in the UK, France, Germany, USA and Japan. The New England Conservatory in Boston have celebrated Kyung Wha Chung’s phenomenal career to date by conferring upon her an honorary Doctorate in Music. French-themed recital with Kevin Kenner. Released 2018 on Warner Classics. Complete Bach Sonatas and Partitas for unaccompanied violin.